How to save on clutch replacement costs? So you’ve been asked to replace your clutch assembly. Or perhaps you’re having trouble operating your clutch, which was doing absolutely fine until sometime back. Either way, read on to find out all about the clutch, and how you can keep your clutch replacement costs in control. 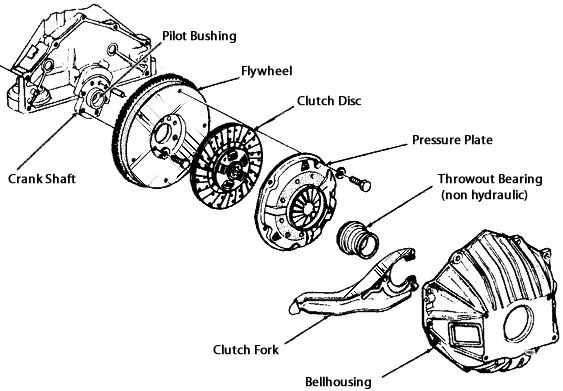 The clutch (or more accurately the clutch assembly) is a set of components that work together with one simple goal – disconnect the engine from the transmission (and consequently from the wheels) when you push the clutch pedal all the way down, and gradually reconnect the engine back to the transmission, when you release it. 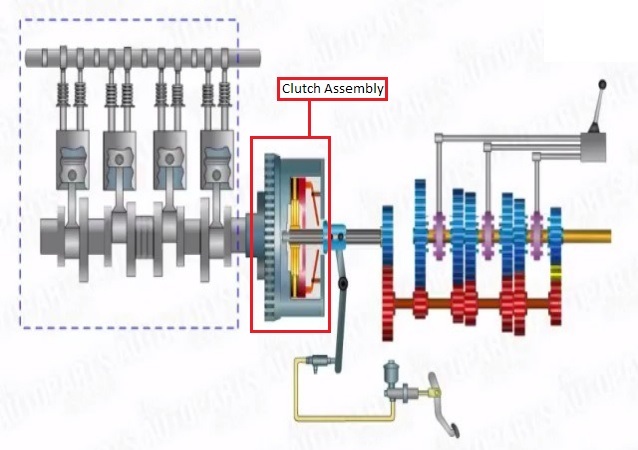 Here is a simple diagram of the clutch assembly. To get a sense of how this diagram is oriented, let us tell you that the flywheel is on the engine side and is fixed to the crankshaft, while the clutch disc is on the gearbox side, and is connected to the transmission. Remember that during normal operation, the engine is always spinning. In other words, we want to disconnect, reconnect, or gradually reconnect a spinning engine to the transmission, depending on our driving needs. 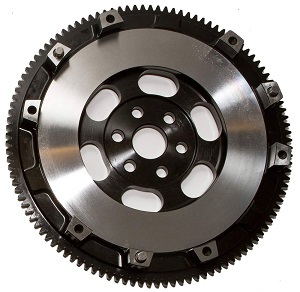 When referring to the ‘clutch’, we’re usually referring to the ‘clutch assembly’. An ‘assembly’ consists of more than one part – it is a set of parts that work together to achieve a certain function. Why do cars need a clutch? Imagine if the engine were to be always connected to the transmission via a set of gears. What would have happened when you started the engine? Since ‘spinning’ the engine would mean turning the wheels as well, because they are always connected, the starter motor would have had to lug the car forward each time you started the engine! That would certainly have damaged the starter after a few such starts. Also, when you wished to change gears, say from the first to second, or from first to reverse, without a clutch to separate the engine from the transmission, you would have heard a grinding noise each time you tried to shift the transmission from one gear to the other! That would have damaged the gears very soon! Note that why cars need a gearbox with more than one gear in the first place is a different topic, and we’ll save that for a difference article. So now we know why there is a need to disconnect the engine from the transmission, to be able to drive a car. The mechanism that does that simple yet critical task, is called the clutch. Let’s now move on to understand where the clutch assembly is located in your car. Where is the clutch assembly located? Visually inspecting the clutch assembly requires opening up the assembly itself, and is classified as a job involving ‘major labour’ at most service stations. You cannot get a view of the clutch assembly by looking down the engine compartment or by merely raising the vehicle up on a hydraulic lift. One way to save money then is to find out whether you need a clutch replacement without opening up the clutch assembly. We’ll get to that further ahead in the article. Before that, you will want to know whether your car employs a ‘cable clutch’ or a ‘hydraulic clutch’. Hydraulically assisted clutches utilize hydraulic assistance from the engine, and thereby reduce the effort required to operate the clutch pedal. What’s the difference between a ‘Cable Clutch’ and a ‘Hydraulic Clutch’? 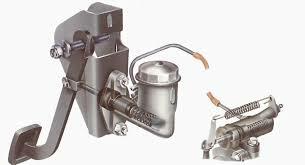 The Master and Slave Cylinders, together with the hydraulic piping are the additional components in a hydraulic clutch, over and above the components already present in the cable clutch. Of course, the cable itself is not used in the hydraulic clutch. So what are the components present in a regular (or cable operated) clutch? Let’s get to that now. What are the key parts in a clutch assembly? Pressure Plate: This is the pressure mechanism that clamps the disc to the flywheel to get the vehicle moving. Pressing in the pedal relieves the pressure from the clutch disc to disengage the engine from the drivetrain for shifting or stopping. 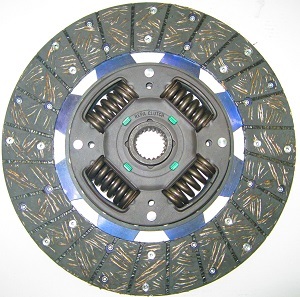 Clutch Disc: The clutch disc is a flat plate with friction materials on both sides. As the pressure plate is engaged (pedal released), the clutch disc is clamped to the flywheel. When the pressure plate is disengaged, (pedal pushed in) the clutch disc is unclamped. The disc is connected to the input shaft of the transmission, causing the input shaft to turn when the clutch is engaged (pedal released), thus causing the vehicle to move. The clutch plate is connected to the central hub via springs to absorb vibrations, as the clutch pedal is released and gradual contact is made. Flywheel: The flywheel is an inertia device that is bolted to the engine crankshaft. It has several functions including carrying the ring gear the starter uses to crank the engine, storing energy to get the vehicle moving from a rest, and providing the friction surface for the clutch disc to be clamped to. Certain vehicles use a Dual Mass Flywheel (watch this video to understand what a Dual Mass Flywheel is), which is essentially two flywheels connected to each other using springs to absorb vibrations even before they reach the clutch plate. Release Bearing: The release bearing is the actuating device that engages and disengages the pressure plate. When the clutch pedal is pressed, the release bearing applies pressure to the fingers of the pressure plate to disengage the drivetrain. When the clutch pedal is released, the release bearing retracts and allows the pressure plate to apply pressure to clamp the disc against the flywheel. Watch the video in the next section to view and understand this movement better. Release Fork: The release fork holds the release bearing, and pivots on a ball stud as the pedal is pressed in or let out. Pushing in the pedal pivots the fork towards the pressure plate and forces the release bearing against the clutch fingers, pressing them in to disengage the clutch. Pilot Bushing or Bearing: Often not considered as part of the clutch system, the pilot bushing or bearing plays a critical role in the smooth functioning of the clutch assembly. The pilot bushing or bearing installs in the end of the crankshaft. When the transmission is installed, the input shaft tip inserts into the pilot bushing, which supports the input in the back of the crankshaft. How does the clutch assembly work? When does the clutch assembly need a replacement? So how can you determine if your clutch assembly needs replacement? If you notice one or more of the following symptoms, chances are that one or more of the clutch components are worn out. A slipping clutch: Clutch slip is evident when you observe that an unexpected increase in engine speed occurs without any accompanying acceleration when your car is in gear, the clutch pedal is fully released, and you push the accelerator pedal. It will also be obvious when you attempt to accelerate up a steep hill. Though the degradation of a clutch takes place slowly over time (depending on your driving style and conditions – stop-start traffic wears out clutches faster than highway driving), if you observe a slipping clutch then it really is time to have it replaced. Hard clutch: A hard clutch could be caused due to a worn out pressure plate, air in the hydraulic line (in case of hydraulically operated clutches), or due to a clutch cable that needs lubrication. If it is being caused due to the pressure plate, the clutch assembly needs replacement. Strong smell when you start off from rest: Strong smell from the engine bay when you pull away from a standstill typically means the clutch is worn out. Change in bite point: A higher ‘bite point’ on the clutch pedal than before means the clutch needs replacement. As you release the clutch pedal, if the vehicle used to start moving with a little release earlier, it would now only start moving after you release the clutch a lot more. Sometimes this could be caused due to a stretched cable (in cable operated clutches) or a faulty Master or Slave Cylinder (in hydraulically operated clutches). Clutch judder: Clutch judder is most noticeable when setting off from a standstill. It manifests itself as a strong vibration when you release the clutch to get the car moving from rest. If you notice clutch judder, it is an indication that the clutch assembly including the flywheel might need replacement. Does the entire clutch assembly need replacement at once? If any of the symptoms we talked about in the previous section (When does the clutch assembly need a replacement?) appear, then the entire clutch assembly must be replaced, with the exception of the flywheel. The flywheel must be inspected for wear, and replaced if it is worn out. But still, why replace all components at once? That’s because the clutch assembly is an intricately put together mechanism where all its different components function with millimeter level precision, and replacing just one part usually results in repeat issues, which eventually force replacement of the entire assembly. 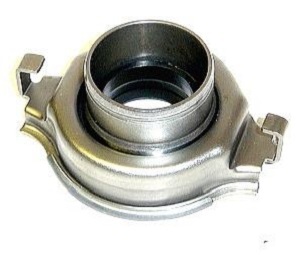 Worn release bearings: If you can hear a low rumbling sound coming from the gearbox that goes away when you press the clutch pedal then it’s possible you have an issue with the release bearing. 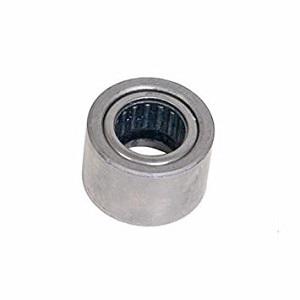 In such cases, replacing only the release bearing should be sufficient to solve your problem. Broken or stretched clutch cable: The cable needs the right amount of tension to push and pull effectively. In such conditions, replacing the clutch cable should suffice. Leaky or defective Master or Slave Cylinders: If your vehicle is equipped with a hydraulic clutch, this is a possibility. Leaks keep the cylinders from building the necessary amount of pressure. If this is confirmed, replacing the defective cylinder should solve the problem. Air in the hydraulic line: Air affects the hydraulics by taking up space the fluid needs to build pressure. Bleeding the hydraulic line usually eliminates the problem. Misadjusted linkage: When your foot hits the pedal, the linkage transmits the wrong amount of force. An inspection of the clutch linkage can determine if this is the root cause. 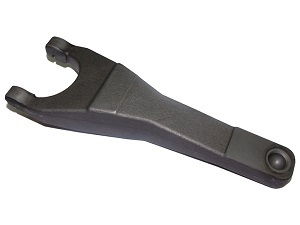 Clutch pedal sticking to the floor: Clutch pedals can stay on the floor if there’s a failed clutch release bearing, slave cylinder, clutch master cylinder, or clutch linkage. An inspection of these components can determine if one or more of them are the root cause of the problem. It is often found that in addition to the root causes listed in this section, an inspection of the clutch assembly reveals that the core clutch components are also worn out, and need replacement. Only a logical troubleshooting approach can lead to accurate root causes. How long does it take to put in a new clutch? A complete clutch assembly replacement typically takes one to two working days to complete. How many kilometers does a clutch last? Predicting how long a clutch will last is like solving a complex equation with lots of variables. Any of those variables can make a big difference in how the equation is solved. 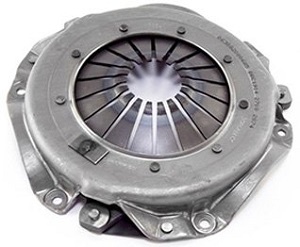 Clutches can last as much as 1,00,000 kms or wear out at as little as 30,000 kms. The kilometers that you can extract from your clutch purely depends on driving conditions and driving habits. When does my car need Wheel Alignment and Balancing? Wheel Alignment and Balancing is often thrown at customers as an additional task to be performed during car service. Additional tasks, of course, come at an additional cost! 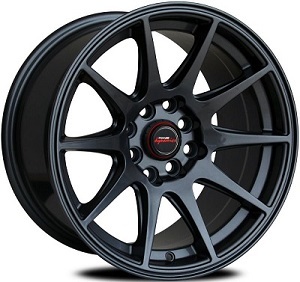 So then the classic car owner’s dilemma kicks in – “Do I need it?”. Let’s help you decide. When do you need Wheel Alignment and Balancing? Your car needs Wheel Alignment as well as Balancing every 10,000 kms. 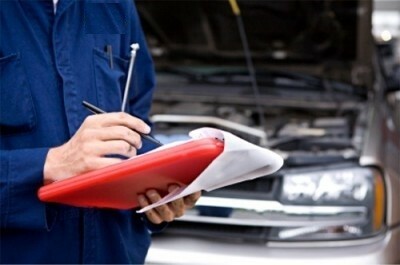 Your car needs Wheel Alignment or Balancing in the event any of the following symptoms show up. Remember, Wheel Alignment is generally done for the two wheels at the front, whereas Wheel Balancing is done individually for each of the four wheels so that each wheel remains in balance. Vehicle tends to drift towards the left or right of the road. Vehicle hit a footpath or an obstacle. Vehicle vibrates (or wobbles) at certain speeds (needs Wheel Balancing of the affected wheel). There are of course more advanced symptoms as well as rear wheel alignment methods, which we decided against featuring here in the interest of simplicity. We hope this article was useful. Happy motoring!